At West Minster we operate a Buddy scheme. 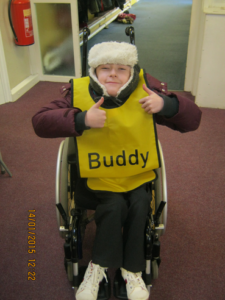 The aim of Buddies is to have older children helping the younger ones have positive experiences of playtime. Children from Years 5 and 6 apply to be Buddies to children in the KS1, KS2 and Year R playgrounds. They will have demonstrated why they would make good Buddies and what skills they can bring to the scheme. 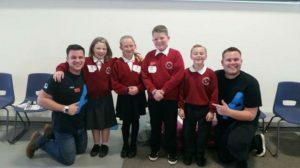 Once appointed, Buddies operate on a rota basis, spending morning and lunch breaks in the individual playgrounds, organising and playing games, assisting children who are having friendship issues and generally ensuring all children have a happy and enjoyable playtime. Irene Montgomery from Project Salus has trained groups of children within the school to become peer mentors. 3: engage young people in social action to make a difference in the lives of others, through the Anti-bullying, Training and Mentoring Programmes. At West Minster we have four young people that as well as being Buddies are also trained Anti-Bullying Ambassadors.